I am a registered voter in PJ Utara and Damansara Utama. I read with concerned the ruckus the subject appointment has created, more so from another component party with the Pakatan Rakyat (PR) government. I think it is safe to say that the success of the parties in PR is due to the approval of the rakyat in your parties being signatory to “The People’s Voice and The People’s Declaration”. Many have sacrificed their time to campaign for your parties in the hope that many of the excesses of the BN government can and will be corrected. Therefore, it is disappointing to note that there is objection from within the PR government on the appointment of a non-Malay as the acting GM. I pray to God that you will find the strength to do what is right for PKNS and also for the rakyat of Selangor. I would like to first and foremost express my appreciation and congratulations for your continuous efforts in pursuing a creditable, accountable and transparent Government in the state of Selangor! Although I am a registered voter of the state of Kedah by mean of my origin, I have been a resident in Selangor since 1997, residing permanently in Puchong. I am very much aware and concern about all affairs in the state of Selangor. In the 12th GE, I have voted for PKR and PAS with great hope that a new Government led by Pakatan Rakyat will see an end to all the discriminatory policies, corruptions and mismanagement by the BN-led Government. Ever since, I have been dreaming of the day when all Malaysians can proudly proclaim oneself as Anak Bangsa Malaysia regardless of our skin color or spiritual belief/disbelief. I’m sure all of us who voted PR share the same sentiment. The decision by YB Tan Sri Dato’ Abd. Khalid to appoint Mdm. Low Siew Moi as the acting GM of PKNS based on merits is indeed a most plausible one. Unfortunately, several quarters have since objected to this move by the MB, with the most troubling coming from the Selangor PAS commissioner YB Dato’ Dr. Hassan and the staff of PKNS. It was more disappointing to read that YB Tan Sri Dato’ Abd. Khalid has had to defend his decision by assuring that it is only a temporary solution while the State looks for a suitable candidate – one who is of the right color and religious background! Perbadanan Kemajuan Negeri Selangor telah ditubuhkan pada 1 Ogos 1964 di bawah Enakmen Perbadanan Kemajuan Negeri Selangor, 1964 (Sel. Enact.No.4 of 1964) sebagai badan berkanun dan agensi pembangunan peringkat negeri bertujuan untuk mengisi kemerdekaan menerusi pengagihan dan penggalakkan pertumbuhan sosio-ekonomi ke seluruh negeri Selangor berpandukan dasar-dasar kerajaan dalam mewujudkan kestabilan, keharmonian dan keadilan sosial bagi mencapai wawasan negara. Harapan ini dilaksanakan menerusi pembangunan hartanah, pembangunan perdagangan, pembangunan perindustrian dan pelaburan. Untuk merealisasikan wawasan ini, PKNS sentiasa menggalak dan mengamalkan nilai-nilai murni, tradisi keilmuan, penguasaan teknologi seiring dengan usaha untuk terus meningkatkan pegangan harta yang teguh, berpandangan jauh serta menggalakkan inovasi di samping terus menerajui dan meneroka pembangunan yang mewujudkan peluang-peluang untuk memenuhi keperluan rakyat dan aspirasi negara. It is clear from the above statements that PKNS is an organization that champion the well-being and development of the state of Selangor and hence its people. It is understood that PKNS is entrusted with public money and hence should always act in accordance to the need of the people of Selangor. I humbly ask the elected Government to justify the ground on which such claim that the GM of PKNS must be a Muslim Malay is founded. I was equally troubled to read reports quoting Dato’ Dr. Hassan as saying that “Pas would hold a meeting soon to look at the list of party members who could bring PKNS to greater heights.”. Political affiliation should never be a criterion in the search for the best candidate. Ideally, such candidate should be politically neutral to ensure accountability and transparency as propagated by PR. Hence, I sincerely hope that in the search for a suitable successor to lead PKNS, the only criterion to consider is the person’s professional credibility. If the PR State Government is determined to serve the people with non race-based and accountable governance, then Yang Berkhidmat has the obligation to correct such attitudes and mindset among the coalition members as well as the staff of the State Government. No nonsense should come in the way of genuine efforts to instill true spirit of good governance. Blatant insubordination as shown by the staff of PKNS should therefore be dealt with without compromise. We see hope in Pakatan Rakyat in bringing new light to our beloved nation. I urged Yang Berkhidmat to continue serving the people with only the genuine interests of all Anak Bangsa Malaysia in mind. Following my earlier letter about the appointment of a female non-malay to the post of GM in PKNS. Below are some of the thoughts and opinions as found on a prominent internet news portal. In view of your busy schedule, I took it upon myself to forward them for your reading. Ashvin Raj: I am indeed baffled that once again Malaysians are still divided over the race issue. I am wondering if racial issues are more important issues in Malaysia than economic issues. From the report, it seems to suggest that the menteri besar of Selangor has a prerogative on who to appoint as the general manager for PKNS, as even acknowledged by the former menteri besar Khir Toyo. If that is not enough, what is the problem of having a non-Malay Malaysian as the acting general manager of PKNS? Does Selangor consists of only Malays in the state? What about the other races? If this is not racial discrimination, then I don’t know what is. Maybe PKNS staff should be more open-minded about the matter and not be unduly worried about who takes over as the GM provided that person is a capable Malaysian citizen. PKNS has been set up to develop the state of Selangor and to boost the bumiputera stake via projects that benefit the welfare of all Malaysians living in the state, irrespective of their race. It has been argued that only a Malay can be in top management of PKNS but is there a written policy or charter that says that only a Malay can be the GM of PKNS? There have been some claims that Low Siew Moi cannot have a rapport with the PKNS staff but this seems to be preposterous as MB Khalid has said that she is the right person for the job. This episode seems to imply that one’s capabilities, despite being a Malaysian, can be overlooked based on race. This being the case, then any talk of Bangsa Malaysia will only be a mere fantasy. 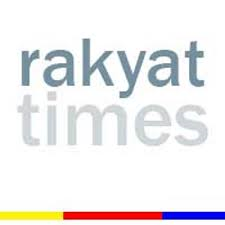 Dr Hsu Dar Ren: PAS, a member of the Pakatan government of Selangor, is objecting to the appointment of Low Siew Moi as the acting head of PKNS. MB Khalid has told PAS that Low was appointed because of her professionalism and administrative ability. If that is the case, why should PAS object to it? I have a question to ask PAS and I hope they can give a truthful answer – Is it because of her ethnicity or gender? If anyone is capable, he or she should be promoted based on meritocracy. I hope Khalid will not waver and let this lady try out for at least a year to see how she copes with her duty. One of the reasons why the country is facing a ‘brain drain’ problem is the perception among certain sections of the people that there seems to be an unwritten rule that the heads of government departments or government-linked companies must be from a certain ethnic group only. Whether such perception is right or wrong, it has led to many talented people going overseas to seek jobs. Pakatan would do well to do away this perception. 1. Low did not lobby for the job, she was appointed. 2. The stated objective of the appointment is to allow enough time to search for the right permanent candidate. 3. There was no announcement whatsoever of her appointment being a prelude to opening up more positions or opportunities for non-bumis. So what is the problem here? Would there have been protests if we had replaced a Chinese or Indian with a ‘foreign consultant’ instead? Most probably not. Such is our sad state of affairs today with so-called ‘race and religion’ champions completely devoid of common sense and objectivity. YUM: 1. Is it ‘kulit-fication’ and not your qualification that counts at PKNS? 2. PKNS is also a religious organisation? 3. Maybe certain people cannot handle a woman (and a Chinese to boot!) being in charge? Edmond Wee: It just shows that many are still racist. Imagine a person being rejected just because of her ancestry. They are rejecting a person based on something she cannot change. It is no wonder why Malaysia cannot improve. Malaysia won’t go far because of the inferiority complex of some ultras. Homeless: This episode is a sick joke for many of us locals and has made us a laughing stock amongst foreigners. I suppose we are the only country in the world now which still practise racial discrimination. All non-Malays are not allowed in top government and government linked positions no matter how talented or how hardworking you are or how much you have sacrificed. We can’t lie to our kids and say that the ‘sky is the limit if you work hard’ – they will find out the painful truth when they grow up. In schools, they are told to work hard, respect one another and love and die for your country. The inconvenient truth however must be revealed to them when they are young so that hopefully, they would be able to accept it later. Loh does not need this job. She, however, should be thankful to the MB for giving her this opportunity and for his kindness and thoughtfulness. She should decline the offer and make the racists happy. Don’t bother to explain or advise for it’s a hopeless situation. As a matter of fact, all non-Malays should disengage from politics (yes, wind up all the parties). Just do some business and make some money and decide your future. We have lost hope and we are really tired. Milton Yap: At the end of the day, Malaysia’s social, economic and political scene is still dominated by racial sentiments. I call it sentiment as it is only superficial and is not a real issue that causes hardship to the rakyat. Will it be that having a non-bumi as the head of PKNS would mean compromising the bumi’s interest. The whole institution is staffed by a majority of bumis. Can one person override this institutional tide? Is it a ‘face’ issue in that having a non-bumi will make them ‘lose face’ and affect their standing in society? I hardly think so. Extending this example further – does this mean that a non-bumi cannot and will not be appointed as the governor of Bank Negara? We should move away from being a sentiment-based society, more so racial sentiments. I am sure that many of the best brains we had had been driven away by these sentiments and actions. Peter Ooi: In about a week from now, it is highly probable that a black man in the form of Barrack Obama will be elected to the highest office in the US, a country where the majority is white. But back here there is so much protests against the appointment of a Chinese to head PKNS, a very small concern compared to the US presidency. It is time we wake up to the reality of the world. All over the globe, countries are finding ways and means to attract talents and brains knowing full well the enormous benefits they will bring. If he or she is a black and has the ability to lead, why not accept? This would be far, far better than having a white who would bring misery and suffering to the masses. Having said that, if Loh Siew Moi can perform, why should we choose a lesser candidate. Her appointment is effected by none other than a man who has vast experience in the corporate world. I am sure that the MB did not just appoint her without going into the details her past performance. It would be sad for the company and Selangor if he were to withdraw her appointment. Firstly, I would like to congratulate and commend you on your courageous action in naming a non-Malay as acting Head of PKNS. 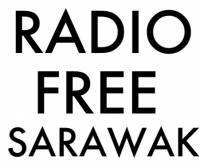 This put in practice Pakatan Rakyat’s Principles – as quoted by YB Datuk Anwar Ibrahim “Pakatan Rakyat pledges to uphold the rights and interests of all Malaysians as enshrined in the Constitution”. Secondly, it is a very clever process to identify the non-conformists and racists and UMNO members/sympathisers in PKNS who have no business and right to play politics in the administration of the State Government’s machinery. According to the Malaysiakini report “the 6 staff bodies of PKNS that OBJECTED to the appointment of Low on the grounds that she is CHINESE and in their joint memorandum dated Oct 25 to Khalid, the (PKNS) staff associations said: ” PKNS was established for Malays and to fulfill the Malay agenda. 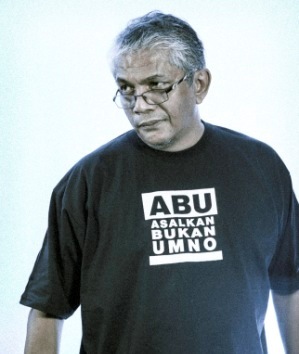 Because of this, the organisation needs to be led by a Malay…. as PKNS conducts activities that are spiritual in nature, its leader must understand and practice Islamic values. “In other words, the one who will become the general manager will be the ‘imam’ for all the staff,” the signatories said” . THE MISSION STATEMENT OF PKNS STATES”Untuk merealisasikan wawasan ini, PKNS sentiasa menggalak dan mengamalkan nilai-nilai murni, tradisi keilmuan, penguasaan teknologi seiring dengan usaha untuk terus meningkatkan pegangan harta yang teguh, berpandangan jauh serta menggalakkan inovasi di samping terus menerajui dan meneroka pembangunan yang mewujudkan peluang-peluang untuk memenuhi keperluan rakyat dan aspirasi negara. These officers of the State Government machinery has departed from the Mission Statement and administered the State against the Constitution of Malaysia as upheld by Pakatan Rakyat. Furthermore, YB yourself has stated that some of these senior officers have personal shares in PKNS Infra Sdn Bhd. This is conflict of interest and shows elements of corruption. conflict of interest and elements of corruption. Lastly, I wish to express my disappointment to the comments attributed to you by The Star that “…PKNS was for uplifting the Malays and that the appointment of the General Manager will be sourced from a suitably qualified Bumiputra…. !” Pakatan Rakyat is supposed to put in practice its Manifesto and reject all race-based systems, etc. Looks liek you are carrying the UMNO baggage of race-based policies as supported by their racists component parties. We Malaysians of all races look up to Pakatan Rakyat to practise and uphold its Manifesto and the Malaysian Constitution to ensure…Equality, Justice and Freedom for all. First of all, I hope this email finds you well and in good spirits. Allow me to introduce myself. My name is Robert Lee and I am a Malaysian living in the Philippines. I have lived here for the past 10 years and there are good reasons why I left Malaysia, but that is not the intention of writing this email to you. Like you, I headed one of the world’s multinational companies in the Philippines until I retired last year and continued to live here. In my commitment to see and realize a better and ideal Malaysia, I have without fail returned to Malaysia at every election to cast my vote. But the March 8 General Elections was the most significant to me. Just prior to the elections, I could feel and see the groundswell that Malaysians of all backgrounds have finally started displaying maturity and I knew that a new journey of the remaking of Malaysia was about to begin. Feeling excited and anxious that finally a new Malaysia was going to start shaping, and at the same time wanting to be part of history, I flew home to cast my vote. Needless to say (now that you have formed the Selangor government), I voted for Tony Pua as my Parliamentarian and Cheah Wing Yin as my State Assemblyman. So I was happy to be part of Malaysia’s history. From abroad, I have admirably watched what the Pakatan Rakyat state governments are doing and as expected, all of you had to go through the learning curve. But that’s okay as long as you remain committed and convicted to the The People’s Voice and The People”s Declaration, which all of you had endorsed prior to the General Election. When Pakatan Rakyat hollered “Ketuanan Rakyat” , it resonates with all of us because every Malaysian should have a fair share of the Malaysian sun. When you finally named the most qualified person in your books to lead PKNS, I have to admit that I was impressed and in fact declared that you kept true blue to the agreed principle of meritocracy. But your qualified statement that it is only temporary until a suitable Malay is found smacks absurdity, racism and a betrayal of the trust that we have given you. You would have reaffirmed my respect and regard had you declared “until a new suitable most qualified person is found”, since Low Siew Moi is due to retire and you wanted her to just hold the fort. Worse yet, you even introduce racism into PKNS when its charter NEVER said so (although under the previous government, racism has always prevailed at PKNS). Whatever happened to you? Are you backsliding into the old mold, trapped in the old BN/UMNO paradigm? Are you going to declare that you have erred and more importantly correct this mistake of yours? I could go on and on with my questioning but I think the above 3 will suffice for the moment. Frankly, you as a corporate man before should know better and be the last to do what you just did since you know what corporations are like, i.e. everything is and must be based on meritocracy. Unless my questions are satisfactorily answered, you know what is going to happen in the next election. Before you misconstrue it, this is no threat at all. I would just be exercising my right but I just want to make it clear to you that unless you revert to what you have promised us, we, the people would have the final say on whether you would stay in power. Thank you very much for reading this email of mine and i hope you would keep yours and Pakatan’s promise that you would introduce change that we can believe in. I am a Selangor child, of a legal age to vote, but yet to register as I am currently overseas. I was excited after hearing news of the results of the March 8 elections early this year, where my home state of Selangor, among others, finally escaped the grips of the Barisan Nasional government, and came under your care. I was looking forward for a better-managed future for all Selangor children, regardless of race, religion or any sort of discrimination. Therefore it is to my utmost dismay as I read about the uproar and unhappiness surrounding the news of the appointment of Mdm Low Siew Moi as Acting GM of PKNS. I do not know much about PKNS, or what it does. But what I do know is that PKNS is short for Perbadanan Kemajuan Negeri Selangor. This, to me means that the PKNS is supposed to be a body which is there to help alleviate all children of Selangor, regardless. Whether or not it has a Malay agenda, I do not wish to ponder. I do, however, ask that you do not walk down the path of Barisan Nasional, whereby only a person of a particular race can lead and represent their community. This is not a wise stance, and goes against all of your earlier promises to us that Pakatan Rakyat is a multi-racial coalition that will not walk down the path of racial politics and posturing. If Mdm Low Siew Moi is indeed the best candidate there is at the moment to take the position as acting GM of PKNS, then let not race be an issue that blinds you from seeing what is true. And let you not be over-occupied with the ‘Bumiputera criteria’ when continuing your search for a better candidate to permanently take the position of GM. The person we need leading PKNS, is someone who is capable and committed to the cause of uplifting the lives of the children of Selangor, and hence race is NOT, and should never be, something to consider. I plead to your good selves that you remember your promises to us, and place all of us on the same level as anak-anak Bangsa Malaysia, and not walk down the path of self-destruction which is racism. Let us be united as anak-anak Bangsa Malaysia. PKNS is supposed to uplift the Malays by providing them with business opportunities but checks showed that 75% of the projects in the past were awarded directly or indirectly to non-bumiputra firms. First of all, I believe that PKNS was established to promote development in Selangor and that all Selangor residents should benefit from it. There is no reason why a non-Malay should not head the agency. Similarly, there is no reason why both bumiputra and non-bumiputra should not compete for projects on a level playing field. Secondly, this is a blatant contradiction of Ketuanan Rakyat that was the PKR platform during the last general elections. I am frankly very disappointed by this development. My family and I campaigned strenuously to have you elected during the general elections. I hope you will take note of my concerns, which I am sure are shared by all your constituents who voted for you because you represented a new order, and share them with the Selangor Exco, in particular, the Menteri Besar. Thus far, the performance of the PR state government has not been outstanding. I hope that we were not misguided in placing our faith in you. Greetings to all of you and I hope that each of you is in the pink of health. I read with great despair about our MB’s comment immediately after appointing Ms. S.M. Low to the post of acting GM of PKNS – that the appointment is temporary until such time as a suitable “Bumiputra”candidate is found. It is really frustrating to note that not even the Pakatan Govt has really understood the full impact of the results of the March 8th General Election. Why do you people find it so difficult to move away from race based politics – and decisions based on race? This is symptomatic of a diseased mind-set. When will you muster the courage to tell the racists to whom you continue to pander that enough is enough. Political courage is not political suicide. Despite all the negative sentiments about America and its policies, we really must admire the American people. They are about to put a man whose heritage is clearly afro-american, muslim into the White House. And this man was nominated by the typical white anglo-saxon protestant democrats – to begin with! Its this wonderfully broad and open mind-set that has made America great and it will continue to be a great country for a long time to come. Please, ladies and gentlemen, – isn’t it about time you demonstrated a little courage?!! I was one of those who voted for Pakatan Rakyat as I believed that your election manifesto to abolish race based politics and to treat all Malaysians equally, as provided for in our constitution, was what our country needed to move ahead in these challenging times. It has , therefore,come as a shock to me when I read that Pas,and especially you, were upset that a Malaysian Chinese has been appointed to head PKNS.. Although it has been readily accepted by all concerned that she is capable and professional enough to undertake her duties your unhappiness is due to the sole reason that she is not a bumiputra. So, it is obvious to me that Pas lied when you endorsed Pakatan Rakyat’s election manifesto. You are no better then UMNO in being a racist party and i am upset that my wife and I were misled to vote for PAS on Mar 8 08. I expect Pakatan Rakyat to discard race based politics, embrace meritocracy and treat all Malaysians equally irrespective of race and religion. Remember, we are watching you closely. I am appalled by the fixation on race that the parties concerned have displayed regarding the appointment of Low Siew Moi as acting GM of PKNS. Even PAS, a partner of PKR’s in Pakatan Rakyat, has exerted pressure against the move. The Selangor Government should not come out looking defensive in this matter as it has done so. What has happened to the pledge that PR made after March 8 to eschew race-based politics? Is PR serious about practising what it promised? I hope the Selangor Government will stick to its guns and lead the way in dismantling the institution of racial discrimination that has been in place in this country for the last four decades. We voted you in with the hope that you would make a difference. Please do not disappoint us. I hope you will convey my feelings — those of a legitimate Selangor resident residing in your very own constituency — to your colleagues in the party, the coalition and the Selangor Government. I read with great disgust and dismay the memorandum sent by the staff bodies of PKNS protesting the appointment of Ms Low Siew Moi as acting GM. I am also disappointed that the appointment is until a suitable bumiputra candidate is found, as stated by YAB Datuk Khalid Ibrahim. I and many others gave my votes to the Pakatan for a new shift towards good governance, integrity, accountability and transparency. If the person merits the position, there should not be a question of race and religion involved in his or her appointment. Also I am against the ‘amnesty’ given to the current bunch of crooks who, under the guise of ‘Saya yang mengikut arahan’ have raped and corruptly stole billions from the rakyat. Why are they still helming these respective state agencies? Shouldn’t they be dismissed and police reports made against them? Justice must be served and seen to be carried out, otherwise, you are no better than the previous administration. I urge you to bring up this matter strongly at the State Assembly and also at the DAP/PAS/PKR level and voice out our concerns about this matter. I am utterly disappointed with your performance as Menteri Besar so far. You seem incapable of getting out of the umno mindset and veer clear of their racist agenda and policies. You also seem incapable of making tough decisions. They first thing you should have done is remove all politically-appointed personnel from Selangor’s administrative machinary. The reasons are many but the obvious one is that their allegiance lies elsewhere. The protest over your appointment of Low Siew Moi as acting GM of PKNS is a clear case in point. You also seem to imagine that PKNS was set up to uplift the economic standard of one particular race in Selangor. This is obviously not and should not be the case. SEDCs are in every state to improve the welfare of ALL its people. PKNS is no exception. PKNS, like all other state bodies, should clearly define or redefine it’s purpose and mission and YOU should be the one giving it fresh direction. PKNS should, for example, be building affordable homes for residents of the state instead of competing with private developers and making RM500 million in profit with the MB being rewarded with a RM100,000 bonus. Since you are still relatively new in the job, the people are probably willing to be patient a little longer. But five years is not that long a time and we will be inserting your performance report in the ballot box. I am really sad today. I thought Pakatan Rakyat was for all races. If we go on with this divide and rule policy, Malaysia will never progress. I am an anak bangsa Malaysia and I am indeed very disturbed to know that I am less privileged than my Malay brothers and sisters. PKNS is for all Selangorians, so why should not the most capable person run the show? Is that not the way forward? Why do we keep insisting on taking two steps backwards? I am very disappointed with PAS. I believed that Pakatan Rakyat was for all races. It is the best who can lead and deliver, not necessarily a Malay. Unlike previous heads who cannot deliver, why put them in the first place? What has happened to the promise by PR of equality of all races. Malaysia will not progress. I am Malaysian. PKNS is for all Selangorians,so let a capable person head PKNS? Is that not the way forward? Why do we keep insisting on taking a Malay who is not capable to lead? Please take action on those staff who have breached and work against the interest of the state. Have you stopped posting the readers’ letters, or have there been none after 30 Oct 08? Read my article in Malaysiakini about a white or a black cat. So long the cat can catch mice, it does not matter we have a black or white cat. the “black cat” ( Barack Obama) won against a “white cat” ( John Mc Cain ) . Now this “black cat” is going to sit in the White House! So, in Malaysia, it does not matter whether the cat is brown, black, yellow, white. The most important criterion is that the cat can do work! If the cat is lazy, likes to go on globe-tour, drives a Mercedez Benz ( take Trengganu, as example ),acquires a trophy wife as a decoration in social functions and gives the work to other cats to do the work, then he does not deserve to warm the seat! He might as well warm the seat in his own house! The people want work to be doen; and done properly and promptly. After the election promises, the Selangor MB should stand firm on his decision to appoint the Non-Malay to be the acting General Manager. And let her continue to do the wonderful work she ahs been doing for 30-odd years. Why making the job temporary? Make it permanent, if she is capable. If she is incapable to handle the job, look for another person— and not necessarily a Bumiputra! Why, MB, should you announce that a suitable Malay will helm the PKNS? It need not be a Malay! It need not even be a Non-Malay. Pick even an alien, if there is one who can do the job! Let the best person do it!Man-hunt for the right person! Choose a white cat, if that cat can catch mice! If not pick a black cat! Honestly, I do not see any hope in Selangor being governed either by PR or BN. When Selangor was under Khir Toyo, the latter acted like a thief. Now with Selangor under TS Khalid, the latter is a weakling. Come on, Selangor need a strong and a committed leader; not thieves and weaklings. I now have doubts about casting my vote to either the BN or PR. I might as well just throw my vote into the drain.